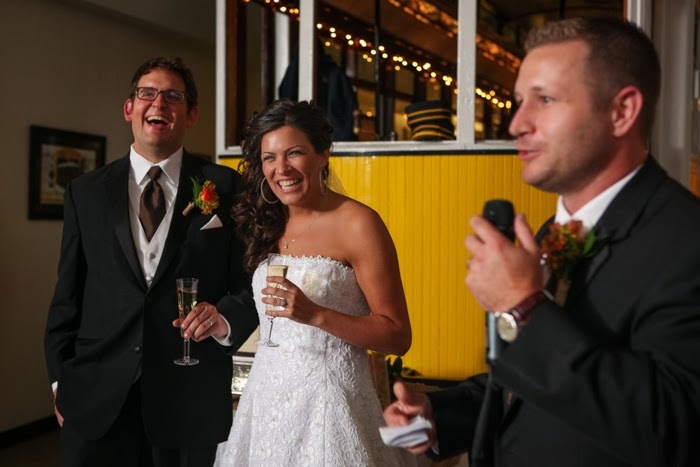 I closed out 2013 with a bang with Liz & Derek's late Fall wedding. They are such a fun couple and I loved working with them! As usual, the Charlotte Trolley Museum did not disappoint as a reception site. 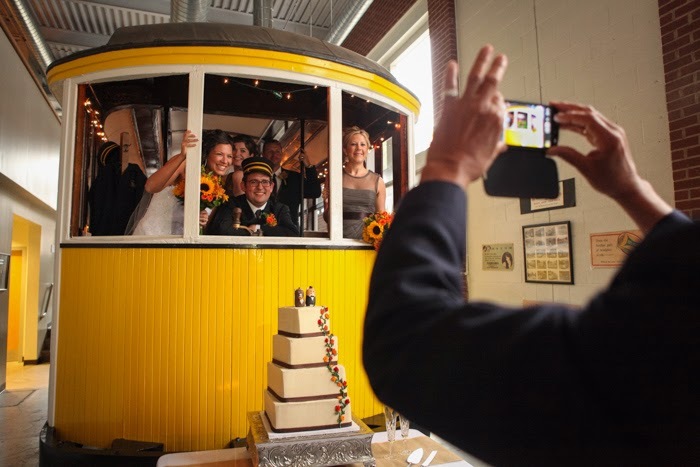 We also had the wedding ceremony at the Trolley Museum and with a team of people including my fabulous assistant, we flipped this space over in no time and the wedding guests were none the wiser. Teamwork baby! These photos from the fabulous Tricia Coyne show how much fun Liz & Derek had on their big day. 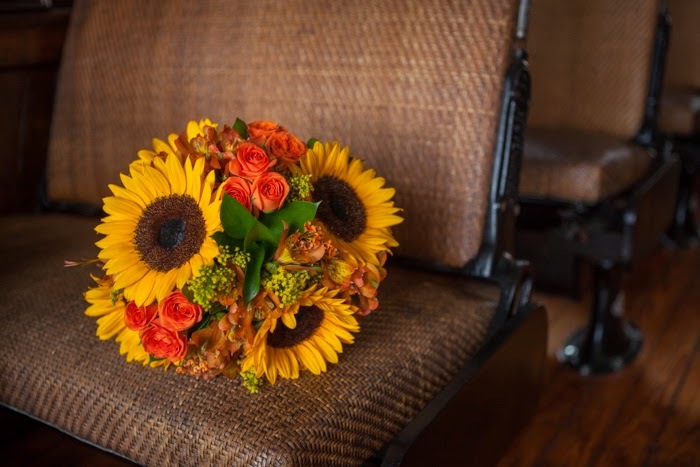 The bright flowers were perfect for fall. 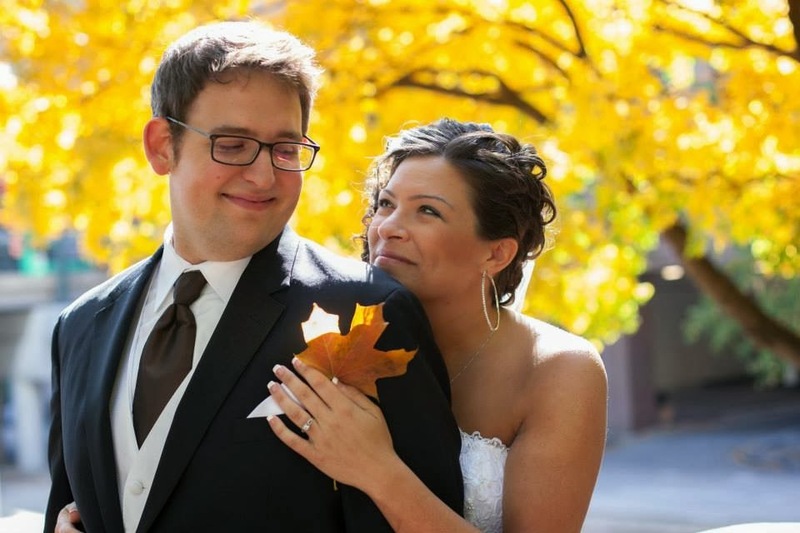 It was a crisp, beautiful day - one of those fall days you dream about! This photo with the rings is one of my favorites! The Welcome to Charlotte backdrop is perfect! I love the colors in this cheery photo. The yellow color is simply glowing. Liz & Derek's bridal party was so much fun. 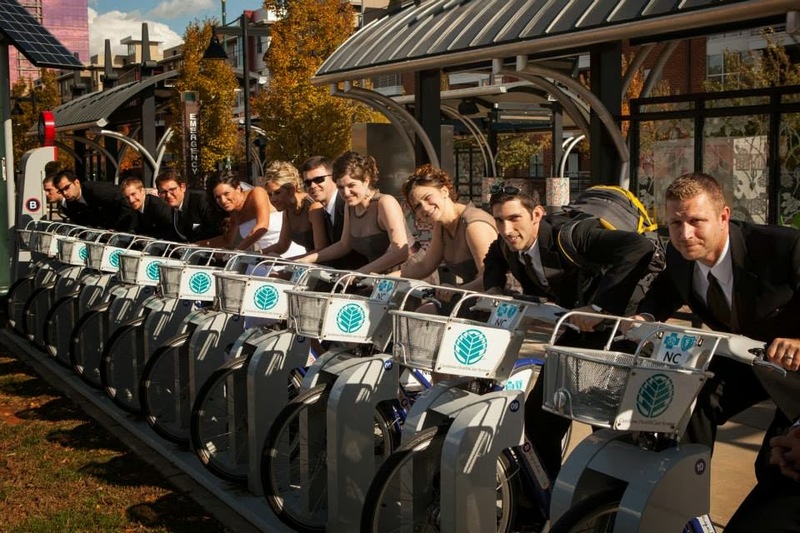 They even made some time to "exercise" by hopping on the community share bikes during photos. There's always time to sweat it out, right? 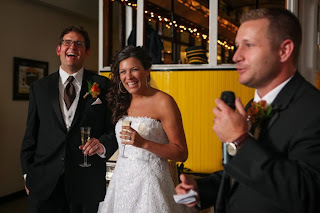 The toasts had everyone laughing - not an easy task! And of course posed for pics in the Trolley - everyone loves the Trolley! The cake toppers were modeled after Liz & Derek's cats. My favorite part was how the girl cat had the same bouquet as the bride! This is a beautiful black and white photo - I love the dreamy look of the veil. The fall trees were even beautiful in black and white! 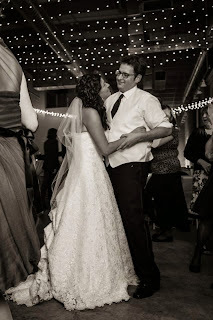 Liz & Derek had a blast dancing the night away under a ceiling of lights. One of the best parts of working with a couple for so many months is getting to know them and making new friends. Liz is absolutely awesome and Derek and my husband are both beer nerds so I see a Beer Tasting double date happening very soon! 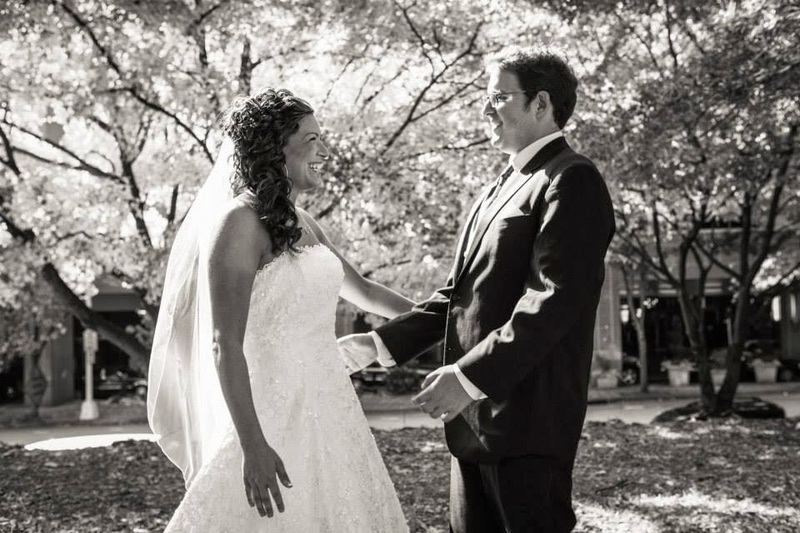 Congratulations and much luck and happiness to this fun-loving couple! Everything was perfect, the drinks and food was amazing. Even the coffee was wonderful (this is the true litmus test for a venue, as event coffee is almost never warm, fresh and tasty).